Contact lenses fit directly into your eyes — and that simple fact means that having the ideal fit is important, especially in the case of specialty contact lenses that may cover a particularly large portion of your eyes. At Eye Appeal Optometry, Henry Oishi, OD, can help hard-to-fit patients who need custom-tailored lenses, patients who need special lenses for eye conditions, and anyone who needs specialty contact lenses. Use the online appointment maker tool or call the Temecula, California, office to schedule now. What lenses do I need for my eye condition? Eye conditions like astigmatism, presbyopia, myopia, hyperopia, and keratoconus often require a special approach. Eye Appeal Optometry offers a wide range of specialty contact lenses to meet the needs of virtually any patient. 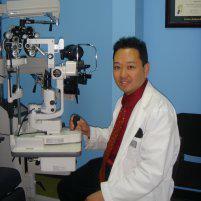 Dr. Oishi will help you choose the right lenses for your eyes. Soft contact lenses are a highly flexible soft material such as silicone and hydrogel that easily fits the curve of your eyes. One of the main advantages of soft lenses is that they allow your eye to get plenty of oxygen and this enhances eye health. Soft contact lenses are typically disposable after a day, a week, or a few weeks. Although soft lenses are generally considered the most comfortable kind of contact lens, they're not always the best choice when you've got vision issues. Most contact lens wearers have soft lenses today, but depending on what your particular eye condition is, you might need another type of specialty lens. Gas-permeable contact lenses are a rigid material. This makes them more difficult to handle, but they generally provide superior vision when compared to soft contact lenses. Gas-permeable lenses can work well for patients with eye conditions like astigmatism, severe myopia, or presbyopia. Gas-permeable contact lenses are usually longer-lasting than soft lenses. They can last for years with proper care. Hybrid contact lenses combine a hard center with a soft outer ring. They offer less discomfort and better vision than soft lenses. If you can't tolerate gas-permeable lenses for comfort reasons but need sharper vision, this may be a good choice for you. Hybrid contact lenses may help with some cases of keratoconus or severe dry eye syndrome. Eye Appeal Optometry offers SynergEyes® hybrid contact lenses. Scleral contact lenses are a larger version of gas-permeable lenses. They're often the first choice for treating vision problems like keratoconus or severe dry eye syndrome. 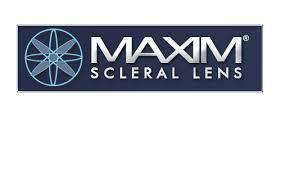 Eye Appeal Optometry offers AccuLens Maxim® scleral lenses. These lenses are custom made according to the measurements of your eye. Scleral lenses last for 1-3 years. If you have a serious vision problem, that doesn't mean you can't wear contact lenses. 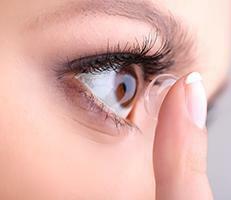 Eye Appeal Optometry can help you find the best specialty contact lenses for your eyes. To get started, schedule an appointment with the online booking feature or call the practice today.